With the end of the year closer than ever, you might be dreading having to socialise with your nearest and dearest over the holiday period. 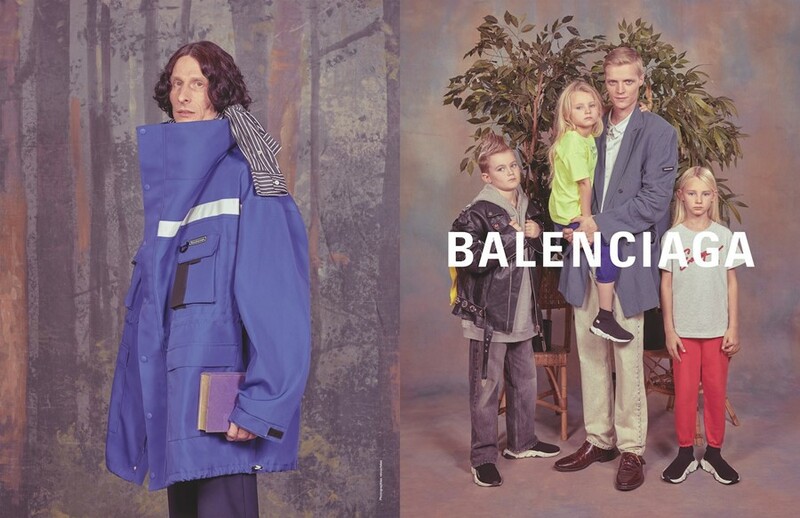 Although drunk-fighting with your cousins over who won that round of Articulate may not be the chicest way to spend your time, Balenciaga is making a case for family values via its newly released SS18 campaign. Shot by Robbie Augspurger and styled by Lotta Volkova in typical family portrait style, the images feature some familiar faces – like the all-blonde family – who appeared in the show in June. They are also joined by others (unconfirmed if they are also related) all dressed in the fashions from the Parisian house with some potted plants in the background. One of the models has accessorised his look with a trumpet. As you do. If skintight lycra thigh high boots are perhaps not the most family-friendly gift, you’ll be pleased to hear that a kids’ clothing line will also be dropping in stores next week. It’s already been tried and tested by the young actors from The Florida Project in the winter 2017 issue of Dazed. That’s all your Christmas presents sorted.